Kind friends send me news almost weekly of whole blog posts devoted to nothing but analysing my intellectual and personal inadequacies, always in relation to my views on climate. Writing about climate change is a small part of my life but, to judge by some of the stuff that gets written about me, writing about me is a large part of the life of some of the more obsessive climate commentators. It’s all a bit strange. Why is this debate so fractious? Rather than attack my arguments, my critics like to attack my motives. I stand accused of “wanting” climate change to be mild because I support free markets or because I receive income indirectly from the mining of coal in Northumberland. Two surface coal mines (which I do not own), operating without subsidies, do indeed dig coal partly from land that I own. They pay me a fee, as I have repeatedly declared in speeches, books and articles. 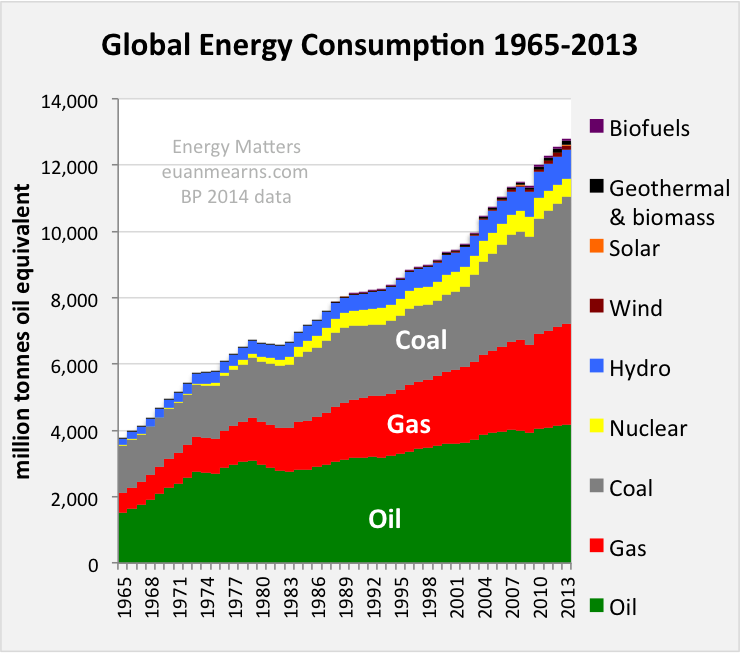 I do think that coal, oil and gas have been a good thing so far, by giving us an alternative to cutting down forests and killing whales, by supplying fertiliser to feed the world, by giving the global poor affordable energy, and so on. But instead of defending the modern coal industry I write and speak extensively in favour of gas, the biggest competitive threat to coal’s share of the electricity market. If we can phase out coal without causing too much suffering, then I would not object. Besides, I could probably earn even more from renewable energy. As a landowner, I am astonished by the generosity of the offers I keep receiving for green-energy subsidies. Wind farm developers in smart suits dangle the prospect of tens of thousands of pounds per turbine on my land — and tens of turbines. A solar developer wrote to me recently saying he could offer more than a million pounds of income over 25 years if I were to cover some particular fields with solar panels. Many big country houses have installed subsidised wood-fired heating to the point where you can hear their Canalettos cracking. I argue against such subsidies, so I don’t take them. I was not always a lukewarmer. When I first started writing about the threat of global warming more than 26 years ago, as science editor ofThe Economist, I thought it was a genuinely dangerous threat. Like, for instance, Margaret Thatcher, I accepted the predictions being made at the time that we would see warming of a third or a half a degree (Centigrade) a decade, perhaps more, and that this would have devastating consequences. What sealed my apostasy from climate alarm was the extraordinary history of the famous “hockey stick” graph, which purported to show that today’s temperatures were higher and changing faster than at any time in the past thousand years. That graph genuinely shocked me when I first saw it and, briefly in the early 2000s, it persuaded me to abandon my growing doubts about dangerous climate change and return to the “alarmed” camp. Then I began to read the work of two Canadian researchers, Steve McIntyre and Ross McKitrick. They and others have shown, as confirmed by the National Academy of Sciences in the United States, that the hockey stick graph, and others like it, are heavily reliant on dubious sets of tree rings and use inappropriate statistical filters that exaggerate any 20th-century upturns. What shocked me more was the scientific establishment’s reaction to this: it tried to pretend that nothing was wrong. And then a flood of emails was leaked in 2009 showing some climate scientists apparently scheming to withhold data, prevent papers being published, get journal editors sacked and evade freedom-of-information requests, much as sceptics had been alleging. That was when I began to re-examine everything I had been told about climate change and, the more I looked, the flakier the prediction of rapid warming seemed. I am especially unimpressed by the claim that a prediction of rapid and dangerous warming is “settled science”, as firm as evolution or gravity. How could it be? It is a prediction! No prediction, let alone in a multi-causal, chaotic and poorly understood system like the global climate, should ever be treated as gospel. With the exception of eclipses, there is virtually nothing scientists can say with certainty about the future. It is absurd to argue that one cannot disagree with a forecast. Is the Bank of England’s inflation forecast infallible? Incidentally, my current view is still consistent with the “consensus” among scientists, as represented by the reports of the Intergovernmental Panel on Climate Change. The consensus is that climate change is happening, not that it is going to be dangerous. The latest IPCC report gives a range of estimates of future warming, from harmless to terrifying. My best guess would be about one degree of warming during this century, which is well within the IPCC’s range of possible outcomes. Yet most politicians go straight to the top of the IPCC’s range and call climate change things like “perhaps the world’s most fearsome weapon of mass destruction” (John Kerry), requiring the expenditure of trillions of dollars. I think that is verging on grotesque in a world full of war, hunger, disease and poverty. It also means that environmental efforts get diverted from more urgent priorities, like habitat loss and invasive species. To begin with, after I came out as a lukewarmer, I would get genuine critiques from scientists who disagreed with me and wanted to exchange views. I had long and time-consuming email exchanges or conversations with several such scientists. Yet I grew steadily more sceptical as, one by one, they failed to answer my doubts. They often resorted to meta-arguments, especially the argument from authority: if the Royal Society says it is alarmed, then you should be alarmed. If I want argument from authority, I replied, I will join the Catholic Church. “These are just standard denialist talking points” scoffed another prominent scientist, unpersuasively, when I raised objections — as if that answered them. My experience with sceptical scientists, many of them distinguished climatologists at leading universities, was different. The more I probed, the better their data seemed. They did not resort to the argument from authority. Sometimes I disagreed with them or thought they went too far. I have yet to be convinced, for example, that changes in the output of the sun caused the warming of the 1980s and 1990s — an idea that some espouse. So for the most part, I found myself persuaded by the middle-of-the-road, “lukewarm” argument – that CO2-induced warming is likely but it won’t be large, fast or damaging. Then a funny thing happened a few years ago. Those who disagreed with me stopped pointing out politely where or why they disagreed and started calling me names. One by one, many of the most prominent people in the climate debate began to throw vitriolic playground abuse at me. I was “paranoid”, “specious”, “risible”, “self-defaming”, “daft”, “lying”, “irrational”, an “idiot”. Their letters to the editor or their blog responses asserted that I was “error-riddled” or had seriously misrepresented something, but then they not only failed to substantiate the charge but often roughly confirmed what I had written. I have seen bad-tempered polarisation of scientific debates before, for example during the nature-nurture debates of the 1970s and 1980s between those who thought genes affected behaviour and those who thought upbringing was overwhelmingly important. That debate grew vicious. What caused the polarisation, I realised then, was not just that people on one side read the articles they agreed with, reinforcing their prejudices, but something more. They relied on extreme distortions of their enemies’ arguments, written by self-appointed guardians of the flame on their own side, so they were constantly attacking straw men. It’s the same here. Most of the people who attack me seem to think I am a “denier” of climate change because that’s what a few hyperventilating bloggers keep saying about me. It’s not, of course, true. It’s these flame guardians who polarise such debates. The most prolific of them is a man named Bob Ward. Although employed at the London School of Economics, he is not a researcher or lecturer, but policy and communications director, somebody whose day job is to defend the climate orthodoxy in the media. Some might call him a spin doctor. It appears to me that he feels compelled to write something rude about me every time I publish on this topic and although his letters to editors are often published, he throws an online tantrum if they are not. He is hilariously obsessed with my peerage, lovingly reciting my title every time he attacks me, like a Bertie Woosterish snob. As an example of playing the man and not the ball, Ward and Lord Deben, chairman of the government’s official committee on climate change, are both wont to mock the fact that my Oxford DPhil thesis in 1983 was on the behaviour of birds. Good luck to them but I notice they don’t mock the fact that the DPhil thesis of Lord Krebs was also on birds, earned in the very same research group as me: the Edward Grey Institute of Field Ornithology. Lord Krebs is the chairman of the adaptation subcommittee of the committee on climate change. John Krebs, a fine scientist and superb lecturer, was the internal examiner of my thesis, which he praised at the time, after telling me to correct a couple of silly mistakes he had spotted in the calculation of a probability result. I did so. Imagine my surprise when he recently told several separate people (who reported it to me) that I should not be listened to on climate change because my DPhil thesis, all those years ago, contained mathematical errors. Lord May even used this argument against me in a debate in the House of Lords: that because I got a number wrong in a calculation 31 years ago, I cannot ever be right again. This is the kind of hilarious thing that happens to you if you come out as a lukewarmer. Talking of the committee on climate change, last year Lord Deben commissioned an entire report to criticise something I had said. Among other howlers, it included a quotation from the IPCC but the quote had a large chunk cut from the middle. When this cut was restored the line supported me, not Lord Deben. When I pointed this out politely to Lord Deben, he refused to restore the excision and left the document unchanged on the committee’s website. Presenting quotations so they appear to mean something different from what they do is quite a sin in journalism. Apparently not in Whitehall committees. I suppose all this fury means my arguments are hitting home. If they were easily demolished they would demolish them rather than try to demolish me. Many of the things that I was abused for saying have since proved to be right. I was one of the first to write an article in the mainstream media (in The Wall Street Journal in 2012) arguing that the latest data supported much lower estimates of climate sensitivity (the amount of warming induced by a doubling of carbon dioxide levels) than those being assumed by the models used by the IPCC. This produced the usual vituperation online from about a dozen high-profile science commentators with nothing better to do. Since then four papers (the latest being this one) have appeared in the scientific literature, authored by very prominent climate scientists, giving low estimates of climate sensitivity, some even lower than I had said. I am waiting for my critics to acknowledge that my story was sound. I have never met a climate sceptic, let alone a lukewarmer, who wants his opponents silenced. I wish I could say the same of those who think climate change is an alarming prospect. The main point of my article was to draw attention to how ad-hominem, vicious and personal the attacks on lukewarmers now are from the guardians of the flame of climate alarm. Though I had a huge and overwhelmingly positive response, I could not have wished for a better example of my point than some of the negative reactions to this article. An egregious example was the death threats I received from a Guardian contributor and Greenpeace "translator", Gary Evans. “We would actually solve a great deal of the world's problems by chopping off everyone's heads. Why are you deniers so touchy? Mere calls for a beheading evolve such a strong response in you people. This showed that Bluecloud had not been misunderstood in his death threat. It occurred a few days before the beheading of a Japanese hostage in Syria. “Dr Ridley claimed that his writings inspire others to write about what he wrote. To illustrate his point, Ken Rice, Greg Laden and Dana Nuccitelli write about Ridley’s writings. Dr Ridley claimed that there have been more attempts on his character than on his arguments. To underline this point, Pitchfork Anonymous smears his name. This was “removed by a moderator because it didn’t abide by our community standards”, though how it caused offence is hard to imagine. This shows that Bluecloud’s comment could have been removed by moderators had they wished. Another commenter, “Adamke", then pointed out that Bluecloud is Gary Evans, an environmental activist who works with Greenpeace and writes occasionally for the Guardian (where his profile states clearly that he posts as Bluecloud). Incredibly, this comment, outing Mr Evans, was then removed by the moderators, because apparently it was more offensive to the Guardian community than the recommendation that I be beheaded. Astonished by this turn of events, I wrote to Alan Rusbridger, the editor of The Guardian, complaining of the extraordinary double standard. He replied that the zombie picture had now been changed and the beheading comments removed. He said that he was “of course” sorry if I had been distressed. He refused to answer my question as to whether he had contacted Mr Evans with a view to finding out how serious his threat was, and refused to say whether the Guardian would in future use Mr Evans as a contributor. He said I should now appeal to the “readers’ editor” if I was unhappy with his reply. I did so. I also drew Greenpeace’s attention to the actions of their associate and they issued a statement that read as follows: “The content and tone of the comments are completely at odds with the principle of non-violence written into our organisation's DNA, and we would never condone that kind of language from someone working for Greenpeace or indeed from anyone else." No such statement emerged from the Guardian. Chris Elliott, the readers’ editor, took eleven days to reply to my email. He referred to the death threat as a “joke” and defended some of the actions of the Guardian, though said they should not have used that picture or allowed the death threats to go undeleted. Eventually, he published an article in which the Guardian apologised to me for not deleting the beheading tweet sooner, and quoting Mr Evans as apologising "for any trouble this may have caused to anyone involved". This was approximately three weeks after the original comments had appeared. This episode began with me noting that anybody who refuses to subscribe to the view that climate change is a very dangerous threat is treated as some kind of heretic to be persecuted, rather than a sceptic to be debated. The reaction has confirmed my point precisely.